NEW! We will have pre-playa trainings for all volunteers this year. Teams will have several meetings with volunteers before playa with the intention of creating community among volunteers, training volunteers as much as possible before playa, and reducing no-shows and cancellations by making volunteering at 88NV more present in participants’ lives off-Playa. Volunteer hours will recorded in real-time on Playa this year. For the first time, we will take an airport-wide survey about everyone’s experiences at the airport – volunteers, passengers, pilots . . . we want to hear from everyone so we can continue to make the Airport even better! Contact Wind@burningman.org or Janitor@burningman.org with questions. We get a lot of questions from volunteers, pilots, and participants about tickets. The Directed Group Sale 1 is coming up soon, which always gets everyone’s attention. We want to clarify that DGS1 is for certain groups within BRC only, namely theme and mutant vehicle camps, plus art teams. The Airport is not a theme camp, mutant vehicle, or an art installation, so we do not have access to the tickets distributed through DGS1. We do have access to sales later in the year, so subscribe to our 88NV Airport Announcements Emails (see above). 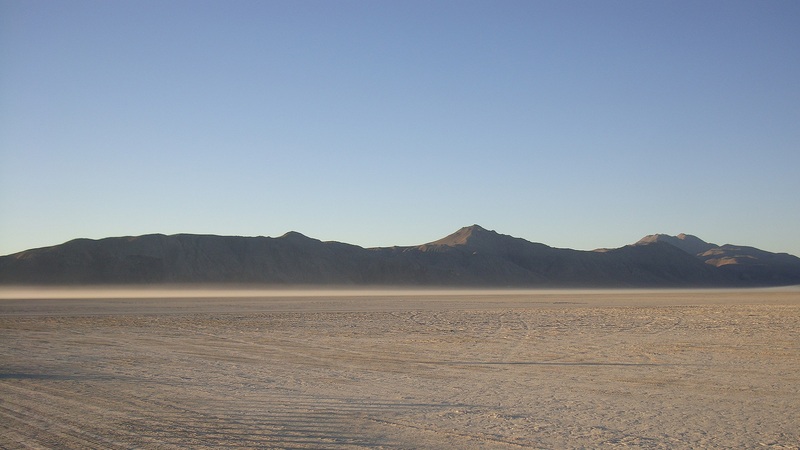 Anyone seeking assistance with Burning Man tickets should visit BRC’s Ticketing site instead of contacting the Airport. This new Burning Man Journal post by Marian Goodell and explains more about ticketing changes in BRC this year. Expect additional details and announcements any day. We are cranking the starters and getting things moving early and have already seen a lot of activity on our end. First, we changed the name of our team from Air Operations to Flight Operations. This clarifies and differentiates Flight Operations from overall Airport Operations. Venture and Flash will continue to manage Flight Operations for 2019 along with three new deputies, Paul Eastham aka HP, Warren DeLaney, and Christi Masi aka Tumbleweed. We will all be working together as a team through the planning phases as well as active on playa during the event. Each deputy will have specific responsibilities during the planning phases which will include the tower, the ramp, IT, pilot screening, and safety briefings. More to come on this. The Aviator’s Announce email list is retiring! Why? Because the 88NV Airport Announcements List reaches all airport volunteers, pilots, friends and family, not just the airborne ones! We want to ensure that everybody gets timely, accurate updates in one place. All future Flight Ops updates will appear in this Airport Newsletter, which you can read at the Airport’s Blog anytime you wish, and which also arrives via Airport Announce group emails (that’s double coverage)! We are researching the best way to share more urgent flight updates during the Burn (TFRs, runway conditions/closures, weather reports) so stay tuned! Eligibility for volunteer roles on the Airport’s Flight Operations team varies with aviation experience. We have some roles that require aviation experience and some that don’t for those that are eager to lend a hand. Either way, Flight Operations is becoming more complex as operations increase and we want to make sure our volunteers are equipped and educated to help assist as safely and efficiently as possible so we will be providing online training prior to the event for certain roles. Safety briefings will be specified for scenic flight gifting only. Those wishing to depart the airport and the area will only need to notify the Air Standards and Safety Supervisor (ASSS) on the ramp. They will give a quick brief ensuring pilots are aware of the departure procedure. We are interested in shortening the training process for returning pilots. Those that have registered and completed last years training may only need to undergo a basic review and updates for 2019. We are looking forward to making this an exciting, fun and eventful year! Plenty more information to come. We are gearing up to gather the group of rugged individuals who arrive early and stay late to build the best little airport in Black Rock City and then return it to the dust without a trace! If you want to see your name on that roster (or know someone who would be a perfect fit), shoot Cyan an email and let her know! If you are planning to gift something to the Airport for which you would like special accommodations (space, placement, power) get in touch as soon as possible. Layout talks are already in the works, with final designs due to BMorg in April. Speaking of due in April . . . Airport’s own Cyan and Dust E. Coyote are expecting a baby girl! So you will likely see that little bundle around 88NV and both parents looking a bit more sleep deprived than usual. The Logistics Team is happy/sad to announce that our deputy BlindSide will not be on staff at the Airport this year as he is moving on to a gig putting his fabrication skills to work for Black Rock City instead! You may still see him around if big things need to be built and let’s hope he swings by for some cocktails when the work is done. The Man burns in less than seven months. Have you given thought to anything that you experienced last Burn that needs improving for this year? Each year, your Airport Safety Team reviews the ups and downs of airport operations to consider what works, what needs improvement, or what needs further consider. Make a list of items that are a concern to you! If they apply to airport safety, please let Squeezebox and Matthew know! Any such requests must be made early enough to accommodate them. Now is the time! We are trimming down some of the Customs jobs and expanding our focus to work on acculturation. Our goal is to make it the very best experience for arriving passengers, volunteers, pilots and residents at 88NV! Stay tuned for news on scheduled events and more things to do at the airport this year. Plans are in the works to better coordinate the gifted scenics and put more organization to the madness! We can’t wait — it is going to be just plane fun. Email Bootz and Gspot with questions, suggestions, and event ideas! The Air Charter Manager (ACM) observes air charter operations and identifies issues or challenges to resolve. The ACM facilitates operations so the charter provider meets contractual scheduling, capacity, reporting and all other Burner Express Air (BxA) program requirements, and complies with 88NV Airport policies and procedures. Additionally, the ACM ensures that passengers are efficiently and safely processed in and out of the Airport gate. The ACM will be the primary point of contact (liaison) between BRC and approved Air Charter Provider for all air charter issues during operations. Read more information on the responsibilities or email Airport Charters.